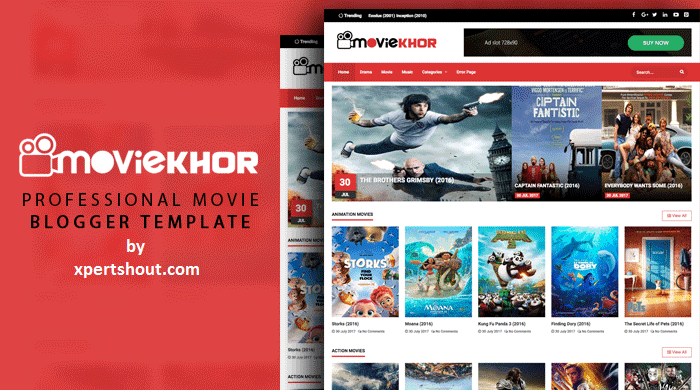 MovieKhor Responsive Movie Blogger Template Free Download - XpertShout Yayın bulunmaktadır. Are you looking for movie blogger template? Then MovieKhor blogger template will be the best option for you. MovieKhor blogger template is responsive, professional and SEO optimized. It is the best choice for all kind of movies download and blogs. It is officially shared by TemplateMark. TemplateMark is one of the best sources of download free and premium blogger templates.